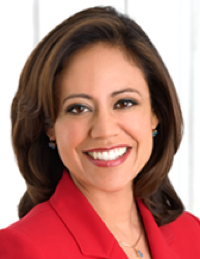 Cynthia Izaguirre, co-anchor of WFAA8's early morning Daybreak, gave birth to twins a month ahead of schedule Thursday evening. The Dallas-based station announced the arrivals on Friday's program. Daughter Karina arrived at 5:06 p.m., with her brother, Simon, born at 5:45 p.m. Both babies weighed just over 5 pounds, the station said on its website. Izaguirre had been on complete bed rest while awaiting the arrivals. She is expected to be on maternity leave for at least the next three months. Traffic reporter Alexa Conomos, who's filling in for Izaguirre at the anchor desk, is pregnant with her third child and due this summer. Here's the video of Friday's Daybreak announcement.